This relatively unknown and under-appreciated band from Indianapolis may not be unknown much longer. 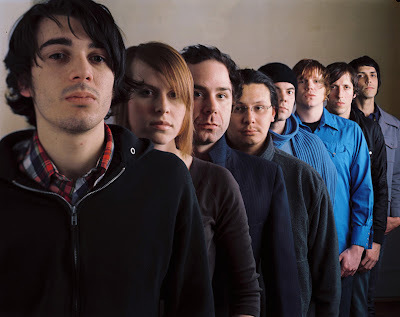 Late last year they signed the Epic Records of the strength of 2006's The Dust of Retreat. Their first release for Epic, Animals!, is due sometime this summer. They will be coming through town on May 14th and they will be playing at The Jackpot, the same venue they played back in late 2006. I was lucky enough to be at that show and they are a really great live band and this should be a fantastic show. matt where's your fleet foxes recomendation/review? i'd figure that's right up your ally??? ?